Your need for community doesn’t end when your kids are in school! 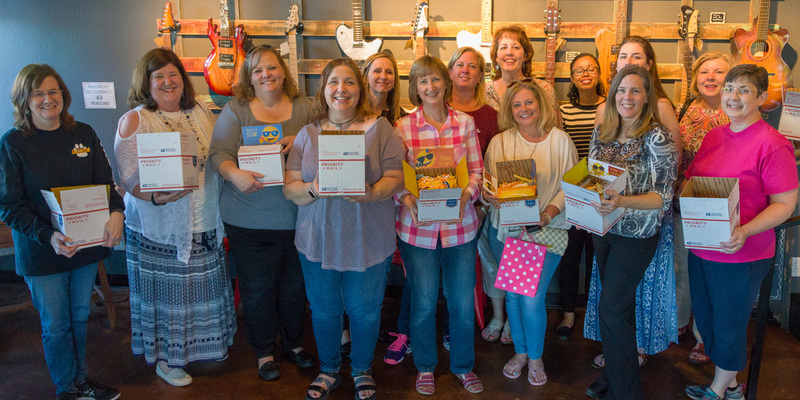 We invite you to gather with Christian moms, just like you, from our neighborhoods and community. We share a meal, inspiring speakers and discussions, prayers and time supporting and learning from one another. Two groups: DAYTIME (listed below) and EVENING. The theme for 2018-2019 challenges moms to live expectantly, surrender daringly, and breathe freely! We will stop inhaling the fumes of our mistakes. MOPS International believes Better Moms Make a Better World. This is true during the preschool years and beyond. As mothers enter the school years, new challenges and issues arise, but the need for community and hope remains. MOMSnext is a ministry to mothers of school-age kids. MOMSnext groups are open, accepting places for all mothers of school-age kids to come, just as they are to experience authentic community, personal growth, practical help and spiritual hope. MOMSnext will encourage, equip and develop moms in the next phase of life.